For a change I fancied using cool and sky-like colours for my latest skein – it is inspired by the great big skies of the Outer and Inner Hebridies of Scotland! I was drawn to all the blues, purple greys and palest ivories that I had. I spun the yarn spun slowly on my Wee Peggy and then wound onto my niddy noddy before soaking and setting it with a weight to dry overnight! Here are some pics of how it went. 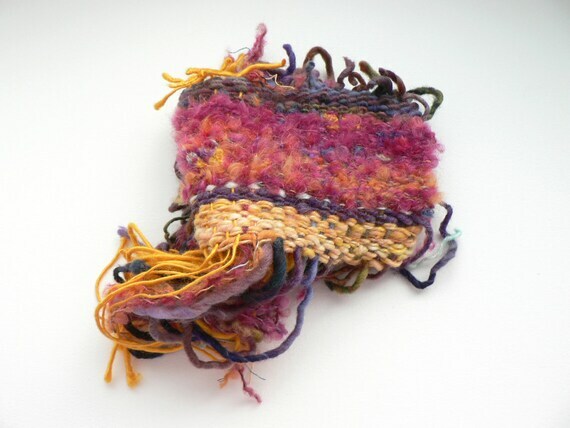 This yarn will create a striped effect in any weaving or knitting/crochet project. 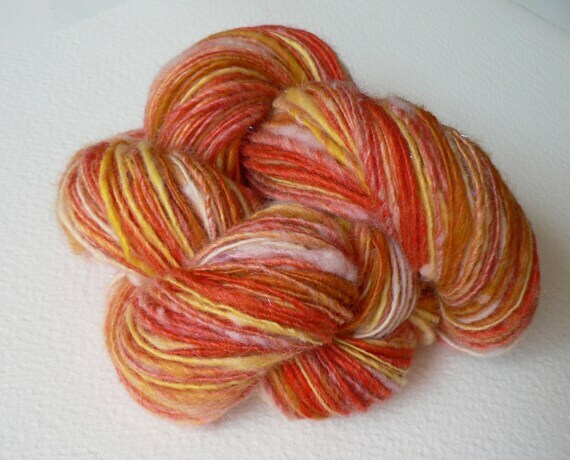 Next up – Halcyon Hippie – this one will be all pistachio, rose and plum…. This entry was tagged hand spun, handspinning, handspun, Hebridies, laceweight yarn, luxury yarn, single yarn skeins, sky, striped yarn, Welsh yarn, yarn. Bookmark the permalink. had a look at your etsy site – “ships from Pontypridd” – i’m in swansea – might be nice to talk sometime?